For our 30th Anniversary in 1999, long standing player and committee member, Geoff Widmer wrote the following 30 year history of the orchestra. There can be few community orchestras in Sydney, or even in N. S. W., that can boast of 30 years service to their community. As a newcomer to the orchestra, a mere 4 years, I am not qualified to comment on its history, nor am I expected to; it is very ably and sympathetically written by the long time members of the orchestra who have watched and helped it grow from strength to strength. But I must express my admiration at the vision and inspiration of Emily Finn, at the hard work of the early conductors, and the dedication of the numerous players who had, over the years, passed through the Orchestras ranks. Four years ago I was auditioned by the S.S.O. (no.2) for the post of their conductor. The work we performed was Beethoven’s Symphony No. 7. It is said that experienced conductors know that every orchestra has its own characteristics that distinguish it from others. Half way through the first movement, I realised that here was an orchestra composed of not merely individuals but individualists, each with his or her version of the score! It was a unique experience and the point is, I LiKED IT! Moreover I saw an enquiring expression on nearly every face (when they looked at me), and a feeling of warmth and friendliness, such as I have seldom experienced before, and certainly not in my experienced in other orchestras in Sydney. I knew that if I were selected (and I was), we would get on splendidly. The friendly feeling which the Orchestra projects remains one of its blessings (why not advertise it as Strathfield Friendly Symphony Orchestra?).
. It is also said that a conductor is most likely to be popular if he has a sense of humour. Sir Thomas Beecham was well aware of this and kept a file of jokes, in different languages, but it is not easy to be Sir Thomas. Consequently, he is copied only too often. My favourite of Sir Thomas’s repertoire is when he chided a certain section of the orchestra:- “We cannot expect you to be with us all the time, but perhaps you would be good enough to keep in touch now and again”. It is easy to have a sense of humour with the S. S.O. because the Orchestra responds with a marvelous sense of humour. During my four years with the Orchestra, I can truthfully say that we have had good moments and very good moments, no bad moments. We make music together for the pleasure of the audience and for our own enjoyment and satisfaction. The Orchestra has had a wonderful support by the Strathfield Municipal Council, the Committee, and non playing members of the Society. I believe I have been able to imbue the Orchestra with a sense of ambition to move ahead. Stagnation and complacency, I never tire to repeat, are the worst enemies of amateur orchestras, which sometimes mistakenly assume that full enjoyment can take place without progress. And it is my task, which I happily do and with the utmost delight, to guide the Orchestra upwards to a fuller enjoyment and satisfaction from their performances. I have grown very fond of the S.S.O. We have a fine rapport, which it evidence by the unanimous reappointment of myself as conductor for 1999. For the Orchestra’s 30th Anniversary. I wish it continued success for many years to come. There is no sadder sight than a sole instrumental player, alone. For practice, perhaps- but only for practice . Players of musical instruments must be socially aware, for, they need others to play with them, if anything really good is to be accomplished. And if that is 50 others or more, then it is the ultimate, a SYMPHONY ORCHESTRA. Here is the potential for magnificence, not always achieved, perhaps, but the thrill of the challenge remains. Before World War 2, very little opportunity existed for amateurs players to join a symphony orchestra. When, after the war, normal cultural pursuits started again, there was an increased interest in Symphony Orchestras, particularly with Eugene Goosens , in the 1950’s, building the expertise of the Sydney Symphony to near world standards. His push to have an Opera House on Bennelong Point, and his development of the Conservatorium of Music, also created new interest in Symphonic music. At that time, a young violinist in the SSO was Emily Finn. She had built up a large studio of young players in the then prestigious Strathfield area, and in so doing she saw the need for these and other players to play together, as an essential for them to progress. tier dream was for a Symphony Orchestra of amateur players in her suburb. At that time only a few such orchestras existed in Sydney, and often in places far remote. So her dream seemed feasible, and desirable. Miss E. Finn President/ Musical Director. In the early days, the orchestra had to pay for the Town Hall hire, the Council keenly supported the proposal at that time, although some minor misgivings later emerged its the cost of the support drew in the bottom line of their financial sheets. The Mayor, Bill Boyce, was a keen supporter, and even personally supplied oil drums to support a makeshift platform for the orchestra to play on, as the stage of the Town Hall was too small. Later Council platforms were made available from the Enfield Town Hall to raise the back players. The Council has continued its support through the 30 years under review, although sometimes it is wondered if it was being generously given. It often was a drain on their financial resources. The Mayor of the Council became the Patron when the constitution was layer adopted, and has continued over the years since. Overall the orchestra has been hugely assisted by the Council – we could not have continued without it. Of recent years, the Council’s support has been freely given, until in 1996, we were told that the hall had been hired by others. The Council needed the hall hire monies, and we had to look elsewhere for several nights rehearsals. All this at 3 days notice. We were not impressed. But at Council’s invitation, we attended a Council Meeting, and pleaded our cause, and there given full support and told that the Town Hall was ours on Mondays, unless in an extreme emergency, full Council support assured. Emily Finn had great support from all the district, and assembled a good size orchestra for the first conductor, Richard Gill. Richard was a young high school teacher with a fantastic reputation with young people. He was an inspired choice. After a few months rehearsal, the OPENING CONCERT was set for 5 July 1969. The newspapers reported the night as a ‘great success’. The Town Hall was packed, with a few people turned away. This has never happened again, unfortunately. But the enthusiasm was very high for this fledging orchestra. Full credit must be given to the conductor, who rose over the years to great heights, being later a conductor with the Australia Opera. Richard conducted in 1969, went overseas and returned to Strathfield in 1973 and 1974. After the triumph of the opening concert, the second concert was played twice, 28 & 29 November 1969, but to more modest enthusiasm, and subsequent concerts were only played once. It must be noted that Emily Finn played with the first violins during these early years, which was a noble encouragement to the eager players, although, no doubt, something of a trial for her, But she had achieved her dream, founded an orchestra, and started music making that has carried on continuously for 30 years. Emily Finn was Musical Director during those early years, giving it her full attention. But she was not a young person and by about 1980 was not able to be active, and slowly phased out as musical director. Sadly she died in 1987, and the orchestra played at her funeral. Again, in 1997, she was remembered with a memorial concert in her honour. She was indeed a remarkable lady, who had the noble aim of establishing an orchestra becoming reality, and so bringing much real joy to so many for the last 30 years. After the first concert, having been such a great success, thought was given to having two concerts in November. But this did not eventuate, and Richard Gill left for overseas study. Miss Finn appointed Albert Keats as a replacement and 1970 practices commenced. A formal Constitution was prepared at that time, which is still in use, although it is often honoured more in the breech than the award. It is a resolution for the 30th anniversary to revise this now somewhat out of date document. These early days had their difficulties, for while the Town Hall was being renovated; practices were held in nearby St. Annes parish hall and the Latvian club. The tremendous audience numbers attending initially, fell away, and player numbers also fell off. Equipment had to be acquired such as tympani and music scores. The hard years were ahead. Without question, the most important party in any orchestra is the conductor, and Emily Finn, as required by the constitution, appointed the conductors in early days. 1969,1973-4. 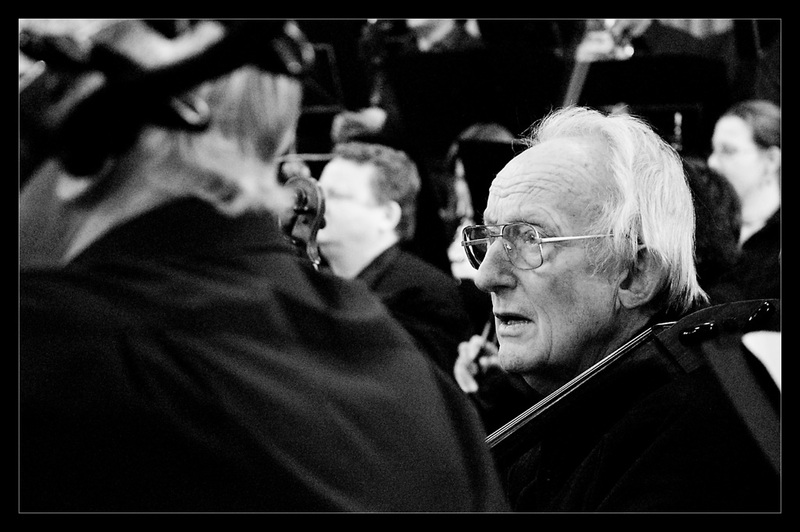 Richard Gill. He did a great job, having a very big following. 1970. Albert Keats. A great musician, being still in the public eye. 1971 Leonard Burtenshaw. A church organist of high repute. 1972 Michael Dyer. A well respected Sydney musician. 1973 Richard Gill returned and continued in 1974. Again he was much enjoyed. 1975-76. Graham Russell. He had a very difficult job, as the playing numbers were declining seriously. 1977 Romano Crivici, and John Liddy, were very inexperienced young men. appointed in the absence of other candidates. The playing numbers had fallen to alarmingly low levels. The future of the orchestra seemed in doubt. 1978 Miss Finn by this time, was aging, and gave the responsibility of a new conductor to the committee, who appointed Peter Crane, a church organist, and school music teacher. He managed to keep things going, and with his very friendly manner, lifted the playing numbers a little. A future now seemed possible. 1981-2 Rita Fin. A young and energetic music teacher, who raised the standard to an acceptable level.She has continued to conduct elsewhere with considerable merit. At this time the committee introduced a radical plan for the selection of conductors. After advertising in a Sydney newspaper, the 6 most suitable applicants were invited to conduct about 40 minutes of a rehearsal. After this, the players voted for their choice of conductor, the most popular being elected for the next year. In October each year the players again voted to continue with the present conductor, or to make new advertisements for a change. There was some opposition to this from within the committee, as apparently taking too much authority away from them. But the arrangement has since become a real part of the players contribution to their own organisation, and has been adopted as the means of electing conductors in several other amateur orchestras in Sydney. 1983 Ted Smith. The first appointment by this means could hardly be described as a triumph, for Ted was enthusiastic but a little rough and ready. He tried hard to introduce the idea of an afternoon concert to include a barbecue with ‘bangers, mash, and BEETHOVEN’. Strathfield was not yet ready for such radical innovation. His year was complicated by the Town Hall being renovated, requiring the concerts to be held at a nearby school hall. 1984 Rita Fin returned for a year, and she was made most welcome. 1985-1986 Carl Hamond, an American trombonist moved our standards forward, and was well accepted by all. We could at last feel that we were out of trouble, and with a future. Also we were being recognised as a worthwhile orchestra for aspiring conductors to consider. When he left, the number of applications for the conductors position rose as below, 1982 1984 1985 and has continued to rise since. Things were looking much brighter. 1987-1994 Mathew Krell. Mathew lived in Strathfield and was very keen to lead us. He was born and bred in Moscow, a Russian Jew. He had come to live in Sydney some years earlier, being a well respected teacher of piano. So he auditioned for us with good prospects. The players were most impressed, particularly with his tremendous enthusiasm for both us and music. 1987 was a great year, his choice of music being exciting and novel. Mathew introduced the concept of a Young Peoples Concerto Competition for 1988, and this was an extraordinary success, being an area in which Mathew had much experience. There were 60 entries with 18 finalists- violin and piano ­in 3 concerts with the orchestra. It was very good experience and financially a huge success. Alas, the next year’s attempt produced only half the response, and was the last Matthew attempted. By 1990, the orchestra numbers started to decline a little. Sadly, the big cultural gap between the Russian conductor and the Australian amateur players, was beginning to show. By 1994, the orchestra was very low in numbers and attendances at concerts had seriously dwindled. The players voted narrowly in October to call for a change in conductor. An extraordinary, but fruitful, period in our history had come to an end. On several occasions, the committee and players talked earnestly with Matthew of the cultural differences between us, but sadly, he saw real leadership as the generation of fear the means to motivate, a concept we could not understand and respond to. So we parted. 1995 Solomon Bard. The audition for a conductor to follow Matthew produced a record of 17 applications, with a lot of real talent offering. One such, a violinist recently retired from the Hong Kong Symphony Orchestra, and now living in Sydney, was Solomon Bard who quietly confessed to the grand age of 78. Many players quickly realised he had a tremendous love of music, and a real understanding of amateur musicians and their problems, but his age was a worry, although, he did not seem anything like 78. By a small margin, he was invited to lead us, and no one now doubts that this was the best decision. Steadily the numbers grew, both players and audience. Our performing standards developed, and the music we attempted became harder and more adventurous . Most importantly, we became a very friendly and happy group up to 50 strong, leaving after rehearsal, smiling and saying that it was good to have been there. What a contrast to previous years. We all hope that we will achieve our 30 years with Solomon in front. In 1971, D.B. [Bruce] Dunlop became President and continued until 1974, a very difficult period during which the initial surge of interest began to decline. Bruce was not one to panic, and with his business eye, lead the society carefully to 1973. Geoffrey Fox took over in 1974 and 1975. This was a serious time of decline in player numbers and things were looking bleak. However Bruce Dunlop continued to work behind the scenes and has to this day, keeping a keen eye on the finances and the concert admissions. He is one of the few people with a working knowledge of the early days of the Society. In 1976, Cliff Reay, a father of two players, became President at a very bad time; numbers were critical and good conductors hard to find. After being appointed again in 1977, he sadly fell seriously ill, only one week after his appointment. The Vice President, Geoffrey Widmer took over and continued until 1988. This was the first time a player had become President. The future at this stage was grim, and suitable conductors were hard to find and Peter Crane took over, and, and as previously recorded, slowly took us back to a possible future. Geoff set out with a definite intention to improve the atmosphere in the orchestra, for, Strathfield was a haughty suburb at that time, and the orchestra reflected this attitude. It took very many years to change this. Most amateur orchestras can be labelled ‘unfriendly’, being more interested in making music, than friends, and it was not till Solomon Bard took over in 1995 that the orchestra could be called truly ‘friendly’. Geoff retired in1988, but has continued as Vice President to this day. In 1989, Rohini Thavaravy, again a player, became President, continuing to 1992.The players were now taking a large part of the responsibility for the Society’s destiny. Again in 1993, a player, Antony Winter, became President. This was a very difficult period, when again our future seemed fragile. In 1997, Russell Watson was elected, President. While not a player at the time, he joined as a tuba player, his earlier interest being leading Brass Bands, and stage managing our concerts. The position of President is a big responsibility, and is very tiring when undertaken by a busy player. We must therefore be grateful to those who have taken this position over these many years, so that so many players can have the joy of making music together. The backbone of any organisation is the secretary, who undertakes the hard work of the details that need to be done. The first secretary was Vera Marsden in 1969. Then Jean Haines in 1970 to 1973. George Pike took over in 1974. Then in 1975 Shirrley Mahableshwarwalla became secretary, a lady recently from India, who was very intrigued with the orchestra when she arrived. She remained the secretary until 1997, an extraordinary period of devotion to a task, often very time consuming, that has merited our life long thanks. 1998, Teresa Rogers relieved Shirrley, a player becoming secretary for the first time. Money is the life blood of an orchestra, for despite the liberal assistance from the council which made the rehearsal hall free, there are many expenses to be met. Very few orchestras can pay their way from audience’s admissions, and the Strathfield Orchestra was no exemption. Music scores purchase and hire is an expensive matter, as is Conductor’s honorariums, soloist’s fees, special players expenses and general administration costs. The treasurer oversees all this. Further assistance came from sponsors, but these were few and far between.. The State Government, through the Ministry for the Arts gave yearly grants from about 1980. that were always welcome, although not really extravagant. So the financial position had to be carefully watched. In 1983 for example the committee sat at the end of the year, contemplating the financial position, when they concluded that, to be able to start 1984, it would need each committee member to ‘put in’ $25. Fortunately, this was not actually needed, but it was close! As matters improved, finances became available for music for the library, and more expensive soloists could be considered. In 1978, following an initiative by the local Rotarians, the need for a concert piano was satisfied with the joint purchase by the Council and the Rotarians of a grand piano for the Town Hall. Fortunately our conductor at the tine was a pianist, Peter Crane, and he wisely judged that the instrument acquired was not large enough for the Town Hall for the orchestras needs. The orchestra made up a further $996 to upgrade to a larger and adequate model. A drain on our meagre resources, but very worthwhile! In 1988, while searching for sponsorship, a tobacco company offered us $1000, which we had no hesitation in refusing, a unanimous decision. In 1969, players made a 10 cents contribution to the funds each rehearsal night, which was increased to 20 cents in 1970. This continued until 1982, although by this time it was often overlooked. The need for an annual players contribution had been argued for some time, but when the Arts Council required an annual players subscription to qualify for the Grant, a voluntary contribution of $14 per year was introduced in 1985, increasing to $15 in 1986, $25 in 1988, and $30 in 1990, where it still is. This has the duel purpose of increasing our income, and making the players more responsible for their destiny. Some players did not do this, but they were never pressed, for we would never stop a player playing for money reasons. It was a voluntary contribution. Admission prices are also a large factor in finances. The more people that attend, the better our finances; a real encouragement to improve. When we first started, adult admission prices were 80 cents, children 40 cents. This rose steadily over the years to adult $10, concession $7 by 1998. This never covered our costs fully, but with sponsorship and grants, we stayed solvent. Membership of the society was always encouraged, and the members subscription, which included admission to the four concerts per year, priced a little below the cost of total admission, $30 in 1998. Membership was always difficult to attract, averaging about 20 people, despite frequent drives and appeals. And, of course, an auditor was always needed to oversee the treasurer’s work. J.A.Priddice was auditor from 1972 to 1975, and from 1976 to this day, J.McBurney, despite illness, has watched over us with care. This unenviable position is required to maintain the correct number and type of instruments needed for whatever music is to be played, no matter what. In amateur circles, where available talent is limited, this is often a daunting task. In 1976 John Howes, a bassonist, was manager to 1979. In 1980 Lorna Hall, and later Betty Stedman continued till 1983. In 1983-1984 Fergus Frickie carried on. In 1985, to this day, Margaret Shirley, an oboist, has been orchestra manager, and she has been much appreciated. The position of librarian is most important, as it is essential that all players have their scores at the right moment. But this can be very demanding. Locating the music, obtaining it, ensuring it is complete for all instruments, and then distributing it to the players, can make for a big headache. Perhaps even more difficult is retrieving and returning all the music to the owners. From early days, Ted Davis did this until Jill I Hobbs took over in 1983, continuing to this day. She always did a great job, never failing to have the correct music ready on time. This is a strange euphemism for `tea lady’ at the concerts. It is not easy to find someone happy to forego hearing some of the concert, so as to make tea and coffee for the audience at interval. But it has always been the aim for player and committee as much as possible with the audience, particularly at interval, with the tea, coffee and biscuits being gratis. Many people did this spasmodically, mostly friends and wives of players and committee men, until 1978, when the President’s wife, Jean Widmer, was appointed, and continued, with much assistance, to 1998. One odd divergence from the normal occurred in 1978 to 1983, when the committee set out to improve further the social contact with the audience. Cheese and wine [sherry] were served before each concert. We were having a lean time, and this became quite popular, although Emily Finn was always very concerned that the player’s technique may suffer in consequence. We think that this did not really happen, although some people thought that Emily was seen to be a little flushed on such occasions. But the effort seemed to require a little too much preparation, and it ceased in 1983. Committee meetings were always difficult to arrange, as amateur musicians are always busy. So, in October 1993, it became normal practice to meet after rehearsals on the 4th Monday of each month at 10.15 pm, often going to midnight. Surely this confirms that musicians are strange, but this arrangement still applies, and the business gets done. However, the committee has no illusions, they are not great managers, but do their best, looking always for more competent persons to become available. In order to simplify contact with outsiders, in 1972, our postal address became P.O. BOX 80, Strathfield, 2135, and has remained so ever since. A number of people have contributed to the management over the year, and the players have appreciated their efforts. For without this, the orchestra could not have continued. But the committee must, and would, admit that they are better players than managers. In order to recognise long term and exemplary effort, life membership has been given to four people to date, Emily Finn, our founder. D.B. [Bruce] Dunlop, a tireless worker on finances since we started. Ted Davis, viola, librarian, and general labourer since very early days. Shirley Mahableshwarwalla, secretary for 18 years. B.McBurney our auditor since 1980, and although not well, carries on. They have thoroughly deserved their honours. The basic programme for the year started with three subscription concerts per year. But in 1985, the players considered this to be too few to retain than interest Three and a half months preparing the same music was too long So four concerts became the normal, and has remained so to this day. This allows, on average, nine rehearsal nights to master one and a half hours of music. While often not enough for amateurs, it demands players full interest all the time. So we can now boast of’ 109 concerts completed in our 30 years. Once only did we cancel a concerts, in a very low period in 1983. The Town Hall was being renovated, so we used this as an extenuating circumstance, which we must admit was not entirely true. Also we can claim never to have come to grief and stopped in the middle of a work, although we often came perilously close, and perhaps should have stopped. From the start, all the subscription concerts were played on Saturday nights, the traditional time for orchestral concerts, commencing at 8 p.m. (Strathfield was very traditional). However, doubts had been expressed on many occasions that other times may have been better. Friday nights and Sunday afternoons have been experimented with, and at the time of writing, Sunday afternoons has become the normal for the winter concert only, the other concerts remaining on Saturday nights, and this seems the most suitable arrangement. With different conductors, the final preparation for a concert has varied considerably, but a short warm up, just before the concert, is needed to get in the mood, and settle the tune of the instruments. However, this became with Matthew Krell, a major rehearsal, from 6.00pm to 7.30pm, leaving many players worn out by the time the concert started, another example of Matthew’s enthusiasm knowing no bounds. His successor, Solomon Bard, equally enthusiastic, was prevailed upon to see this problem, and reduced the warm up to less than 30 minutes, but persuaded the players to have a full final rehearsal on the Friday night before each concert, and this is the present arrangement, accepted very happily. The standard of play has varied a lot over the years. In the lean years, often without sufficient and talented strings to do the work justice, the standard was, to say the least, barely adequate. String players have always been short and of inadequate ability to do play the work. All amateur orchestra in Sydney have this problem. But new players must gain experience before they can improve, and we have always considered that Strathfield Orchestra’s aim is to provide such experience to all comers, provided they show a reasonable ability. Only on a few occasions has it been necessary to ask new players to ‘have more lessons’ before joining us again. So we have avoided the need for formal auditions , a daunting procedure that never does the amateur justice. Several conductors have queried the wisdom of this policy, but we firmly believe this to be right for us, and we have stuck to it. Naturally enough, audience numbers have always reflected the standard of playing over the years, but we have retained a small group of followers that have stuck with us. It has been suggested that they come again and again just to see if , one night we may not make it to the end! More fairly, their hope for our improvement is their motivation. Which is as it should be. And happily, in our 30th year, we are now being told that we have never played better. Ten 1st violins, and ten 2nd violins, six violas and six cello were the present basis of the orchestra in 1998. A full wind section of very competent players, four horns and three trombones, and five percussion being ready when needed. Unfortunately, more often than not, the violas are not complete, and we have to engage players to make the balance right. This gives the happy problem of inadequate space on the stage of the Town Hall, with some players being behind the front wings. Also, the stage has beautiful curtains on both the sides and back, ideal for some things, but far from ideal for orchestral work. The sound is muffled by the drapes, distorting our efforts. For rehearsal, we play on the Town Hall main floor, and find this to be acoustically perfect. So for a few concerts, we have experimented by playing on the floor, and while this has been a big improvement acoustically, being able to see only the tips of the violin bows has been a real problem for the audience. With soloists this becomes a disaster – they must be seen. In 1998, platforms were built to raise the back players two levels above the rest, an improvement, but not a solution. All this because we are too big, what a wonderful problem! Negotiations are going on with the Council towards enlarging the stage. In addition to the subscription concerts, we have endeavoured to repeat concerts at other locations whenever possible. For example, we have done this at Homebush Baptist church, Concord Wesley Church, Eastwood St. Andrews Church, Bankstown Town Hall, Ashfield Town Hall, Macquarie University, Woodstock Burwood, Mittagong School, Beecroft Community Hall, Randwick International School, Mowell Retirement Village Castle Hill, and The Kings School Parramatta. Somewhat less successful were ventures in the Strathfield Park [in the open air] and Strathfield Plaza. We learnt that such venues were not for orchestras. The Strathfield Council has, over the years, requested the orchestra to play for Senior Citizens free concerts in the Town Hall at Christmas and Senior Citizen’s Week, This has not always been done, as it was difficult to prepare the different type of music expected along with our subscription concerts programmes. These days we play only the Seniors Week concert to a small but appreciative audience. On some occasions, the Council has asked us to provide background music for Naturalisation Ceremonies and other civic occasions. Sadly we are not equipped for such events, and they have not been very successful. It seems that we find it difficult to be versatile. A most unusual activity took place in 1985, when the South Strathfield High School asked the orchestra to play for the `rock’ musical stage presentation of `Jesus Christ, Superstar’ with the school students. The S.S.O. players were aghast at the prospects (in those days we were very conservative). But the opportunity to spread our contact in the community was irresistible, and on the understanding that the players would alternate the nights, to played the six performances, we prepared. Everyone was astonished when, for the six nights presentations, there was 100% attendance of players. This astonishing result says much for Andrew Lloyd Webber’s music, and the high standard of production by the school. It was a highlight. The choice of music is the responsibility of the conductor, although in early days, Emily Finn exercised a veto right. Obviously the ability of the players needed special consideration, but some of the less experienced conductors became u little ambitious at times. Acquiring the scores, however, was always a problem. In early days. borrowing from the Conservatorium of Music was possible, and, together with purchasing for our library, solved the problem. Also, borrowing from other orchestras was often used, but getting the scores was often a major task for the librarian. When, in about 1985, the Conservatorium stopped lending, having lost so many scores, a major problem emerged. Happily the A.B.C. music department started to hire out scores for a modest fee, and this is our present practice for a large part of our needs. Hiring from music stores is needed for special works, particularly Australian composers. Solomon Bard has a policy to play one Australian work at each concert, which the orchestra is happy to do, although sometimes a little bewildered. In all, a very worthwhile experience. There is always a soloist for every concert, and on occasions a well known artist was engaged, finances permitting. This can be a great boost to the players. At times, choirs are engaged, and major choral works performed. A Russian choir, the Sydney University Musical Society, the P.L.C. school choir, Bankstown City Choir, and Beecroft Chorale have sung with us over the years. A glance over these names will quickly reveal several that have risen to great heights since, and were often having their earliest experience with an orchestra. We are proud to have been, hopefully, of some assistance to them. To assist up and coming players has always been one of our major objectives. The following list is not complete, only those players of more than a years membership are included, and the scarcity of records may give rise to errors. Very many more players have been with us over the years. Betty Stcdman 1973- Cecilia Girdler 1969-71. Peter Reay 1981-88 Simon Watts 1981-82. The orchestra has given wonderful experience to so many over the years, some who came new to the art, others who came experienced and able. But all must be grateful to Emily Finn who had the vision to make this possible, and to the countless others who worked through both good and bad times so that great orchestral music was a part of Sydney’s Inner West for 30 years. May they play on for many more! Fascinating reading, thank you. It is interesting to follow the ups and downs of the orchestra and encouraging to read that my term as conductor was seen as an upward line on the graph. With the 50th anniversary approaching I hope someone has been charged with filling in the history from 30yrs through to the present. 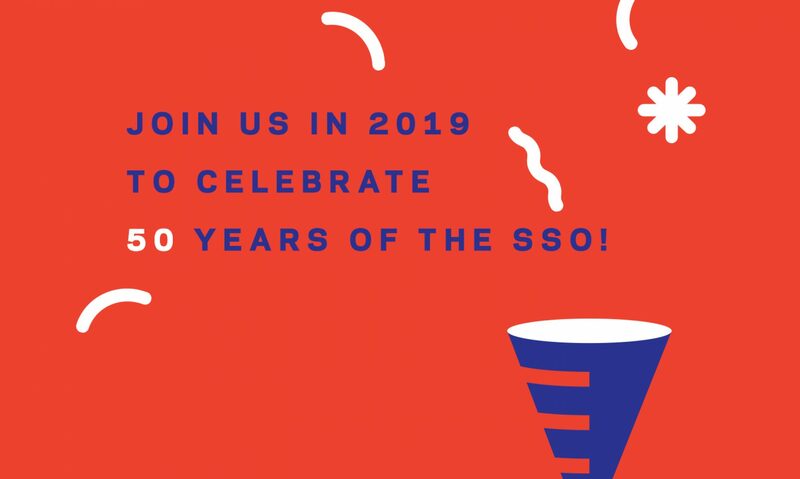 Best wishes to the ‘SSO’ for another 50 years of music making.